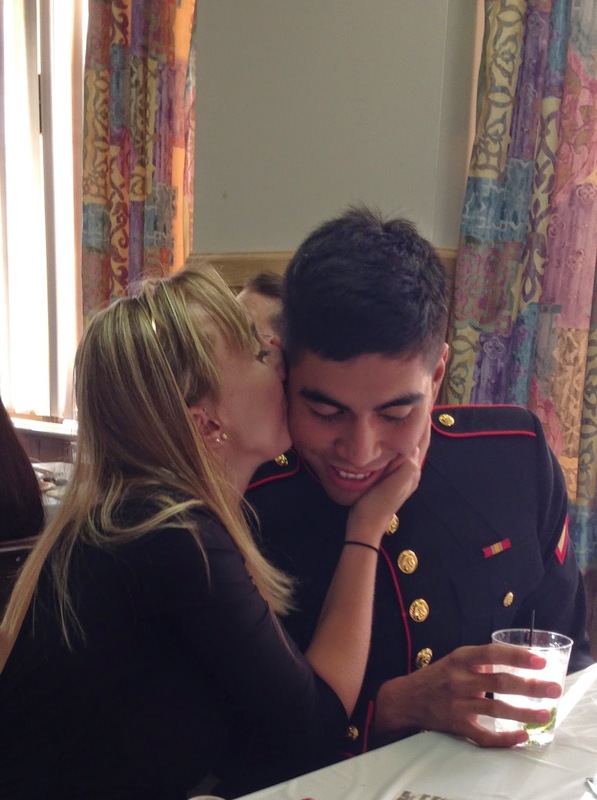 For those of you who don't know, my boyfriend, Omar, is a Marine. I know what was I thinking right? Hah, kidding of course. He is the sweetest and most annoying person I know. It works somehow. We've been dating for almost a year so we don't really know anything outside of him being in the military. His first deployment is in February and is supposed to last about six, or seven, or eight months. We've discussed a ton of ways to make this work, things to do, things to not do, and I'm not saying that we are experts or anything. I mean like I said, it's the first deployment. I just know there are some Do's & Don'ts that will definitely help us get through these next several months. I'll start with the 'Don'ts' since those are the more negative ones. One// Cheat. I feel like this is the golden rule. I can't even believe I would have to write this down.. do I really need to explain it further how disgusting it is if you cheat on your significant other? Just... don't. Two// Fight. I know this is hard because sometimes things come up and it's common to fight with one another, but try to be adult about some situations. It's not like you guys can go to one another and make it up. Try to talk things out and know when it's an appropriate time to bring up an issue. Three// Go one day without talking to one another. Don't ever, if possible, go one day without even talking to each other. You will hardly get to talk to one another as it is, so always reach out to one another. Now to the fun ones. . .
One// Send snail mail. Care packages, letters, even little things in the mail make a huge difference. I already sent Omar a package filled with food, magazines, candy and gum, and a nerf football. And he's already started the search for pikachu stuff to send back! Snail mail is just one of the many ways that you can put a little more effort into this. Plus it's something to look forward to and it will help time go by faster. Two// Send pictures. If you take a cute selfie, or pictures of the beach, or anything send them to one another. It will make them feel like you're there with them. They will feel special that you are including them on the events from that day. Three// Skype. FaceTime. Video Chat. I can't get more self explanatory than that. Four// Always be honest with each other. If you're having a tough day where you feel lonely, tell the your significant other about it. You two are going through this together so always talk to each other about these hard days and nights, because they are the only one's who know what you're going through. Five// Snapchat. It's a great app where you can take a quick video or picture and add a little message to it to know that you're thinking about them. Six// Have your own thing going for you. Do not just wait at home for them to come home. Make sure you have a busy schedule as well. School, work, friends, internships. Keep your schedule as busy as theirs is. It will make you a happier person, it will give you more to talk about, and it will make time got by faster. Seven// Make each other a priority. This is easier said than done with everything going on in life, but it's something you need to do. Don't ever put someone else ahead of one another because like I said before, you need each other through this. Your partner is going to be the only one who understands and you two will be on relying each other a lot. Make sure one another feels important always. Eight// My last thing would be to always, overuse the words "I love you," it's a simply daily reminder that goes a long way. If you have a significant other on deployment what do you do or not do to get through this? Let's talk!